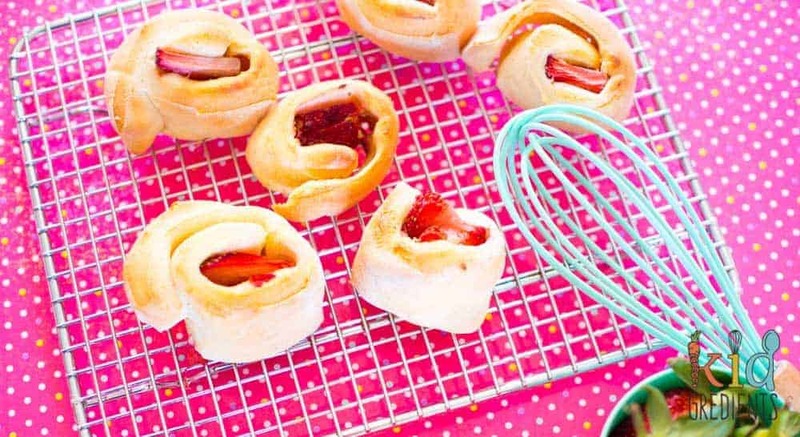 If you’re looking for a way to make a quick and easy sweet treat in the lunchbox…then these 5 ingredient strawberry yoghurt dough scrolls are a winner. 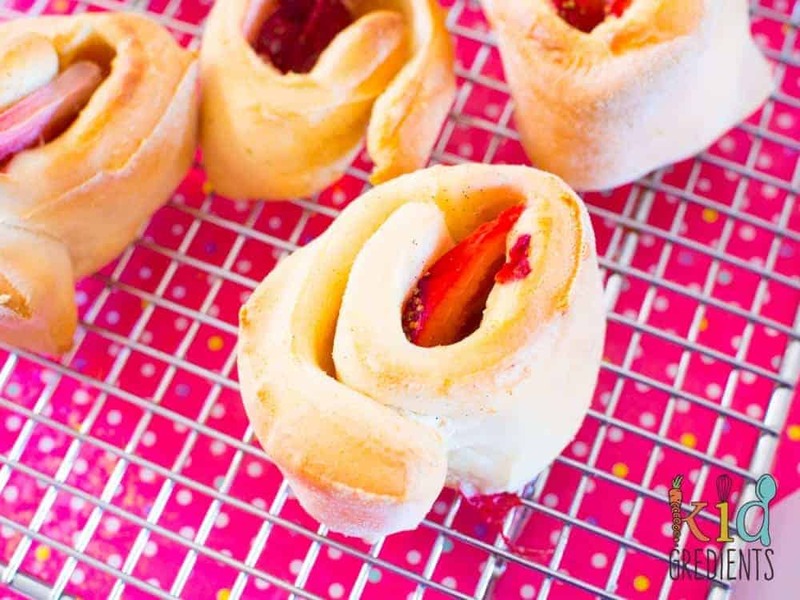 Proving that you don’t need a fancy long ingredient list to make something taste awesome, these test the limits of yoghurt dough, by making it sweet! Strawberries are in their early season right now, coming from Queensland and are super, super sweet. 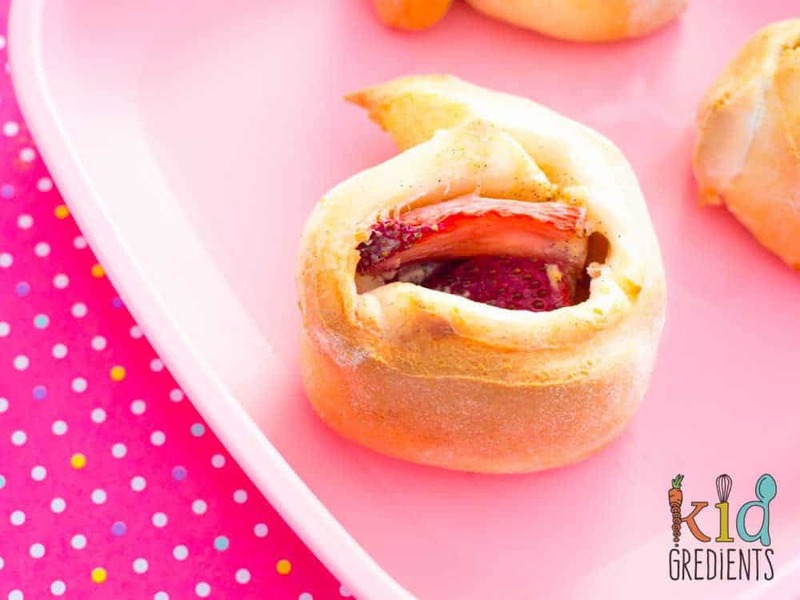 If you don’t have super sweet strawberries, you might need some sweetener- but really, try them without and see! 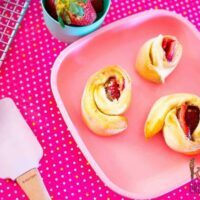 If strawberries aren’t in season and you really want to make these, then you could use frozen ones, but you will need to get the sliced ones. The marriage between strawberries and cream cheese is a regular pairing here, I’ve also made these strawberry cheesecake bliss balls which are a hit. 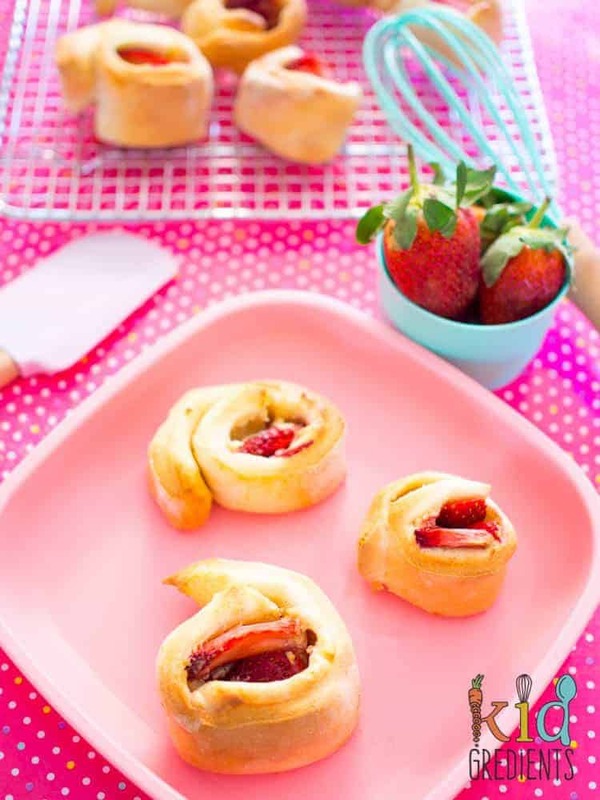 And if you’re looking past an even simpler sweet treat, we love cream cheese and strawberry wraps! 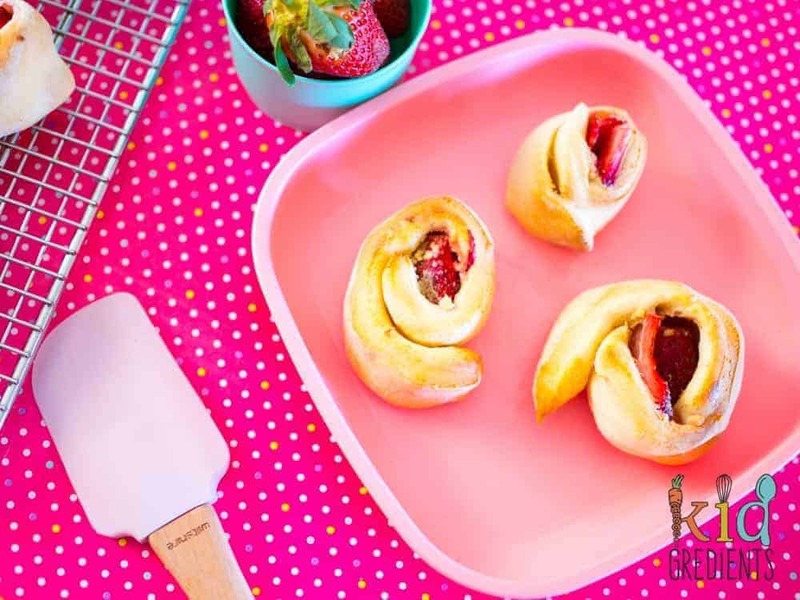 If strawberries aren’t your thing, you can try them with whatever berries you love! I think the strawberries and cream cheese works amazingly together though. And with no additional sweetening, these are super sweet anyway. That’s what happens when you use fruits in season. look at how red those strawberries are! Talking about seasonality, we have an incredibly long strawberry season in Australia, mainly due to the vast number of different climates and temperature zones on our vast island. This means that while strawberries are in season in the end of winter and early spring in Queensland, they are in season again in a few months time in Victoria and NSW. Basically the only time that strawberries are unreasonable is Christmas- and that’s because everyone wants to top their pavlova with them! 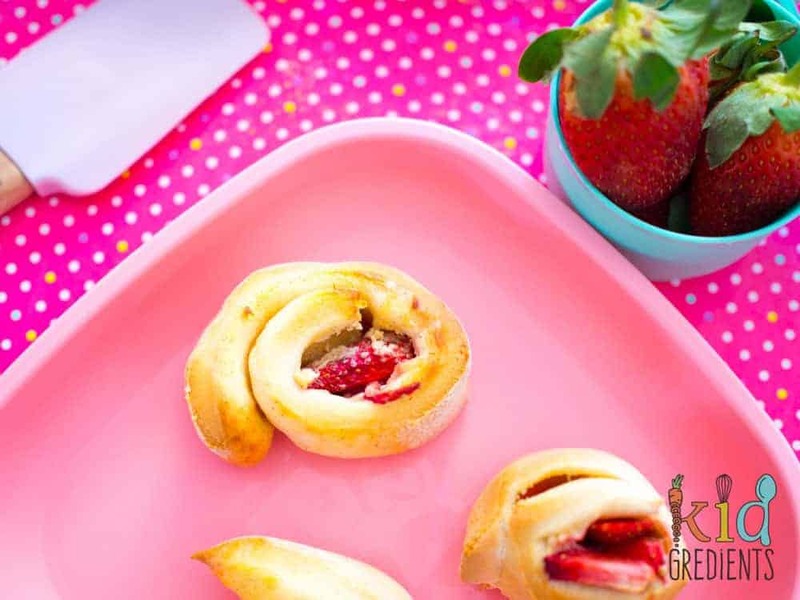 With them currently as low as $1.29 a punnet, there’s no better time to try these scrolls, they are a definite winner at our place. Strawberry shortcake would be jealous! Preheat the oven to 180 degrees 355F. Add the yoghurt, 1 tsp vanilla and the flour to a large bowl and mix until a dough is formed. Roll out to make a large rectangle, approx 30 by 50 cms. Mix the cream cheese and remaining vanilla together. Spread the mix over the dough and slice it through the middle. Top with sliced strawberries and roll to make 2 large sausages. Slice into rounds approx 2cm wide. 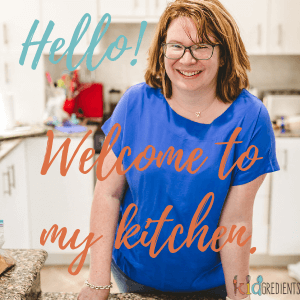 Place on baking trays and bake for 15 minutes at 180 degrees.